There may be a knob, but nothing’s coming out of this sucker. Far be it from me to gripe about anything, but as long as we’re talking about how hot it is outside, let me just tell you how hot it really is. My trusty Camry has been in the shop for several days now, and I’m fortunate enough that my parents are letting me borrow the “farm truck.” The farm truck is a navy blue 1990 Isuzu Rodeo that my sister bought when she was in law school many, many moons ago. When she became an adult and got a real car, the Rodeo went to where vehicles go to die; our family farm. 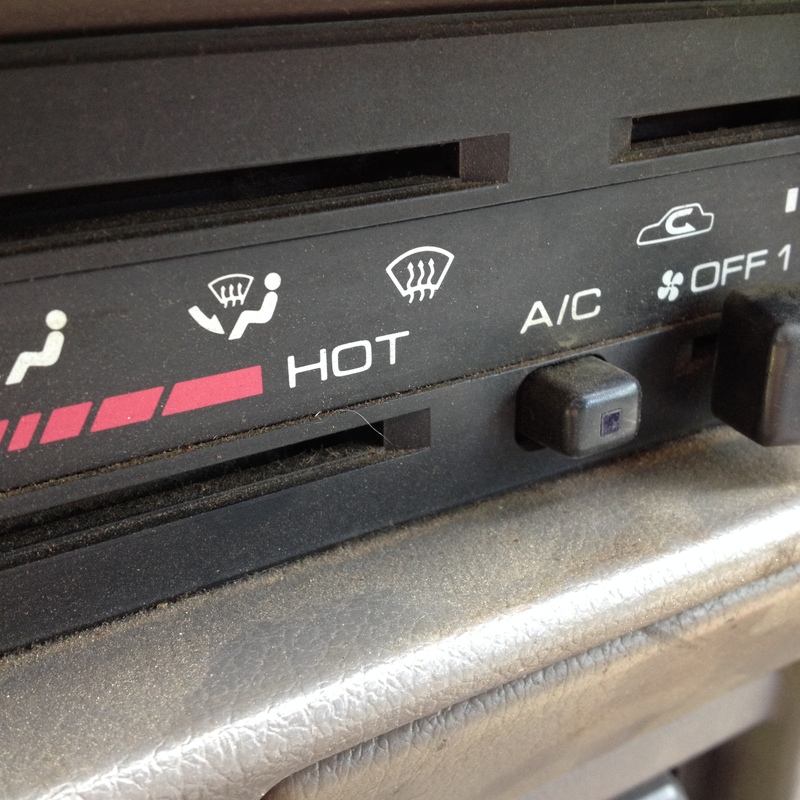 Flash forward about twenty years and five billion degrees and here you have me, driving the farm truck around town, with no air conditioning. Now if you happen to be reading this above the Mason-Dixon Line and think you know what hot is; you don’t. Hot is walking around barefoot on fresh, black asphalt holding a large piece of metal on a highway that runs directly on the invisible line of the equator. Now add six gallons of boiling split-pea soup to account for the humidity. Take all of that, shove it in a pint size Ziploc bag and throw it in the microwave for sixty seconds. Now you have what it feels like in Alabama on any given day in June around 9:30 a.m. Take the bag out of the microwave and immediately open it with your bare hands, and you’ll have what it feels like by 9:45 a.m. Anyway, when I dropped my Camry off at the mechanic’s shop and picked up the farm truck, I was just happy to have something to drive. The kids were in the back, we had the windows rolled down and I was raising my hands and bouncing up and down, “No air. Don’t care.” Let me tell you, that didn’t last long enough for my boys to finish rolling their eyes. Imagine a metal box filled with coal. Now imagine it on wheels. Now imagine that it is on fire. 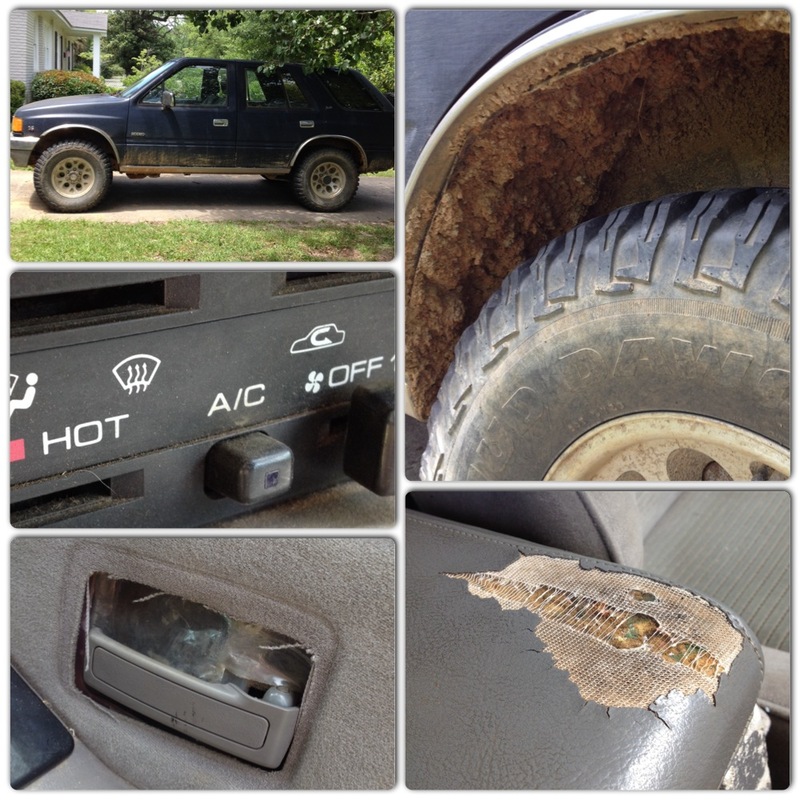 Mother of all things holy, the only thing less ventilated than a 1990 Isuzu Rodeo is a gas chamber. It may not be swanky, but it gets the job done. Unless the job is staying cool.